The Clark House was the first home built in Clarkdale, MS and now serves the local area as a top rated Bed & Breakfast extended stay hotel. Their website is the first opportunity potential guests get to experience. 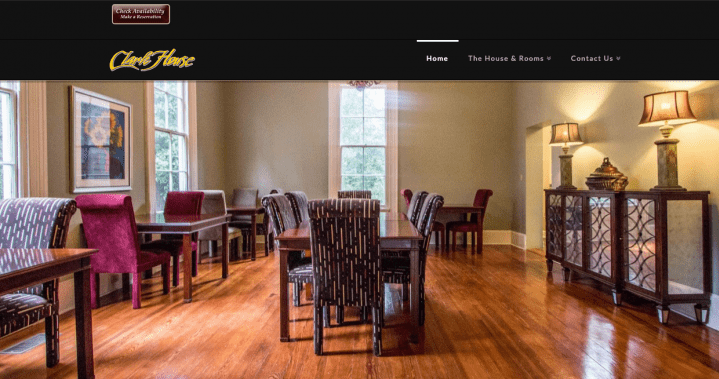 This storefront educates it’s clients on the home’s history, displays professionally shot images of the room and grounds and offers online booking capabilities. Their existing website offered similar benefits, but was outdated and difficult to update. The client opted to go with Shoals Works Pro Package to refresh the site to a modern portal for new and returning guests to utilize from any device with ease.